Democracy is a system of procedural consistency, which is perhaps why the reason Pakistan has failed to strengthen its democracy over the past few decades is because it has been marred by inconsistencies. As the government fulfils its five-year tenure once again, we see the emergence of a new dawn, something unimaginable even a decade ago. For the first time in our 70-year history, two democratic governments have successfully completed their entire five-year terms and engaged in a smooth transition. It has become a common habit for people to criticise our “desi democratic principles”. And why not, they ask? It has only led them into a stream of unemployment, poverty and poor living standards, a consequence of mismanagement, a lack of transparency, poor legislation and corruption. Needless to say, the government that leaves us behind was met with harsh challenges of its own – issues so grave and severely scathed that it seemed to stumble towards a clear collapse. Yet they subsided, and democracy was able to secure its footings once again. What we fail to realise is that democracy is still a “new” concept in Pakistan. It was never allowed to spread its wings and emerge as a true representative system. Every time it gained hold, it was interrupted by a military regime, and that too stretching beyond a normal democratic tenure. And whenever it was finally able to breathe again, it was met with one commotion after another, leaving it bereft of the chance to evolve into a system that could serve a developing country like ours. The Pakistan Muslim League-Nawaz (PML-N) government has met its fair share of conundrums, from the 2014 Model Town tragedy and the Pakistan Tehreek-e-Insaf (PTI) and Pakistani Awami Tehreek (PAT) dharna to the APS massacre; from professional strikes (such as by the Young Doctors Association) to military operations ranging from the Zarb-e-Azb and Radd-ul-Fasaad, nothing has sailed smoothly in the past five years. Then of course there are the Panama leaks, as well as the antics led by Khadim Hussain Rizvi, both of which damaged the country significantly in their own way. Similarly, the PML-N’s vows of economic empowerment were met with Ishaq Dar’s number crunching, redefining taxed objects and overstated growth, and most importantly, his absence. The social sector witnessed men dying outside hospitals, women giving birth on roads, schools observing massive dropout rates, and the budget targeting it all with unspent meagre allocations. 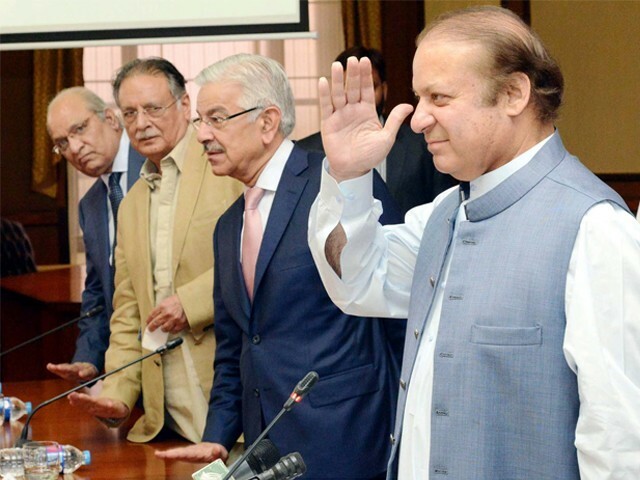 On the political front, the PML-N’s ministers and the premier failed to show up in the power avenue (the Parliament), and it all ended with a weakened and disqualified Nawaz Sharif yelping for air. The zeal of the judiciary enjoined with the superior mantra of the military barely left any space for the political landscape to flourish. But they managed to pull through. The government stumbled, stuttered and even fell, but stood up each time in democratic assonance of the country. With the General Elections creeping in, the PML-N has very little time to pick up its battered pieces. Their victimisation mantra has attained a hefty amount of followers, but to what degree of sustainability? Their performance remains nil; apart from the infrastructural advances in Lahore, there is not much to display on the cards. The social sector speaks poorly of their five years in office, the economy is gasping for air, and their political endeavours are even worse. 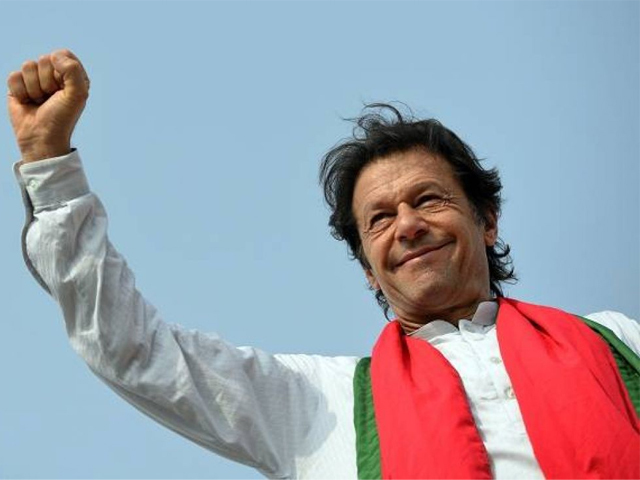 The tide of electables has turned in favour of their opponents, and as the PTI seeks to handpick the political cherries, all the PML-N seems to be doing is missing out. Even Chaudhry Nisar, a man who has stood by the party for decades, is no longer in its midst and is running as an independent candidate. But all is not lost, for the PML-N still remains a stronghold in North and Central Punjab, which is precisely why it is likely to bag a massive amount of seats. They may not be in a position to form the federal government, but it would be foolhardy to believe their desecration will take place. They still exist at the grassroots level, and despite the onslaught of accountability issues, their voter base remains firm. The PML-N has successfully aired its grievances publicly, inviting the sympathies of not just their own voters, but several onlookers who have not surrendered to the propaganda stirred against them by the powers that be. On a larger scale, however, with a circular debt amounting to around Rs1,004 billion, an employment generation of only 43%, and a predicted slow-down of the economy by the World Bank, Pakistan is pinning a lot of hopes on the coming government. While China continues to contribute to Pakistan’s borrowing facility, our reserves have fallen to a meagre $10.9billion; a deepening current account deficit coupled with a harrowing fiscal deficit aims to paralyse the economy. With abysmal economic indicators, a weakened parliament and an increasingly interventionist judiciary and military, democracy seems to be taking a step back once again. In light of the current situation, what is heartening to witness is yet another transition of a democratically-elected government, and a caretaker setup preparing for the continuation of the electoral process. Elections in Pakistan are known to be a platform of power politics, whereby results are aligned in favour of strength, position and hold on the officials in charge. Rigging is a notion frequently heard on the streets of Pakistan, sloganeered into common practice. Children are woken to the chants of dhandli, and tucked into their beds instilled with a belief that things with never change; so much so that they refrain from participating completely. With a burgeoning youth population, these children mark the future of the electoral process in Pakistan, and it is thus important to develop a sense of responsibility and ownership for this procedure. It has become commonplace for people to lie asleep on Election Day, and forego their right of choosing their representative. It is fuelled by the belief that one vote does not make a difference, and this allows them to skip one of their most important duties to their country. And with each voter pulling out, our democracy weakens a little – something we can no longer afford. It is necessary we revive the faith of the people in the electoral system of Pakistan and encourage them to participate wholeheartedly. Whatever its flaws, they will only be eradicated through the use of the system at the right and appropriate time. Let it be worn out so that a better system can surface. We are impatient in a lot of worldly things, but this is something that demands us to not just be patient, but also tolerant and cognisant of the fact that only time, justice and better democracy can heal the abscess currently plaguing our system. Our leaders have given the people the false narrative that democracy equates to holding an election…..and they loudly proclaim that now we have had TWO successive democratic transitions of government. up to the Mughals too. But barely. Now they are allowing a thug from Gujrat, [with a mail order degree] to rule them. You can see how the Hindutva Fanatism has eaten away at their brains. a pack of hounds baying for her blood. This is what 60% illiteracy does. Democracy is the delusion for the regular folks to accept capitalist system short of social justice and human rights. People of Pakistan should be grateful to their leaders for this act and hope for equal rights for the left over from the rich..